The main objective of the EU-Directive 2010/45/EU, which adapts to Directive 2006/112/EC, was to promote a harmonized legal implementation in the Member States for invoicing at European level. France has seized the opportunity and set itself an ambitious target: 100% electronic invoices for public administrations by 2020. For this purpose, all invoices in the areas of B2G (Business to Government) and G2G (Government to Government) were centralized on a single basis electronic platform, Chorus Pro. 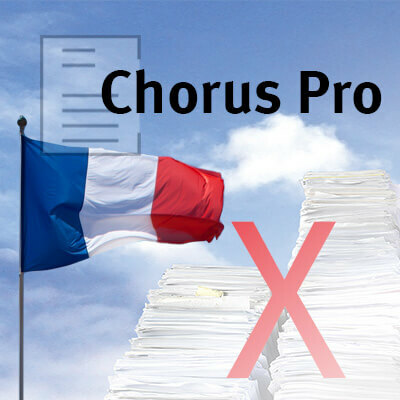 Chorus Pro was developed and operated by the AIFE (Financial Information Technology Agency of the French Government). In future, all around 78,000 public administrations across the Chorus-Platform in France approximately 100 Million invoices per year are exchanged. The invoices are accepted by Chorus Pro in different structure, hybrid and unstructured formats as well as on different transmission paths (EDI-Procedures, web services and online portal). Who is involved in Chorus Pro? By 2020, approximately 1 million suppliers will use Chorus Pro to provide invoices to public administrations. What are the advantages of Chorus Pro? Around 78,000 public invoice recipients are accessible via single system. Invoices are transmitted faster and more cost-effectively, and feedbacks on the checking are sent via the Chorus Pro platform. The invoices must be generated in one of the predefined invoice formats. For automatic communication with Chorus Pro, the partner must register and set up one of the predefined communication paths. The handling of status feedbacks from the invoice recipient or the automatic checks of Chorus Pro Platform must be controlled. The invoices are to be electronically archived. The complexity is comparable to the electronic invoicing procedures in countries of South America or, for example, those of Turkey or Portugal. In order to simplify the implementation and to minimize risks, it is recommended to work with a partner who knows about these requirements in France and other countries. 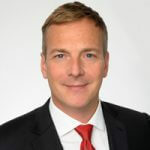 The benefits are obvious: An experienced partner can assist you with the introduction competently, can bundle your increasing international E-invoicing requirements and thus ensure unification and standardization. A start is also recommended by booking a cloud service. E-invoicing requirements, such as those for France, are technically complex and cause high initial costs in their own operation. This is matched by an immediately usable, preconfigured cloud service, to which the invoice data is to be transferred only in a clearly defined interface format.